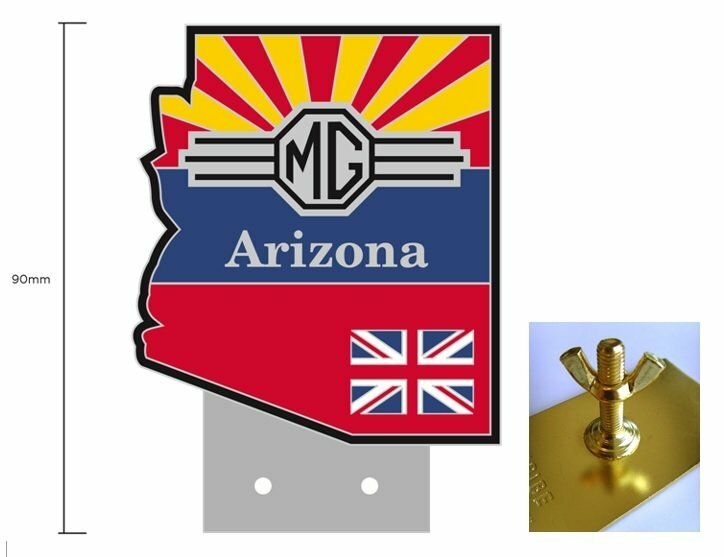 The badge is vibrantly colored, electroplated chrome with enamel infills and includes 2 under mount screws suitable for affixing to a badge bar. Also included will be a screw fitting on the back suitable for grille mounting as pictured in the smaller inset image. An additional $5 flat fee shipping amount will be added at checkout for first class priority mail shipping.